Who loves breaking out? .....silence? Exactly. What's a girl to do? I've been reaching La Roche Posay's Effaclar A.I Targeted Breakout Cream Corrector and have been seeing a lot less red. I'll warn you now, there will be some blemish talk ( I hate the words pimple and zit and refuse to use them) so if you want to bail now, I won't blame you. For those still with us, I mentioned above that I have typical localized breakouts in the lower face/chin area. I pretty much never get any spots anywhere else, unless it's caused by a specific product that didn't agree with my skin. I also never seem to get typical whiteheads (ewwww... no other way to describe them though, I'm sorry!) and I don't have oily skin. I get deeper, cystic style breakouts that don't look all that bad: a bit of a lump and a little redness and my skin tends to be normal-dry (more so dry.) While the belmishes don't look so bad, I can feel them, and because I can feel them I get the urge to touch them, and that's bad. No touchie! 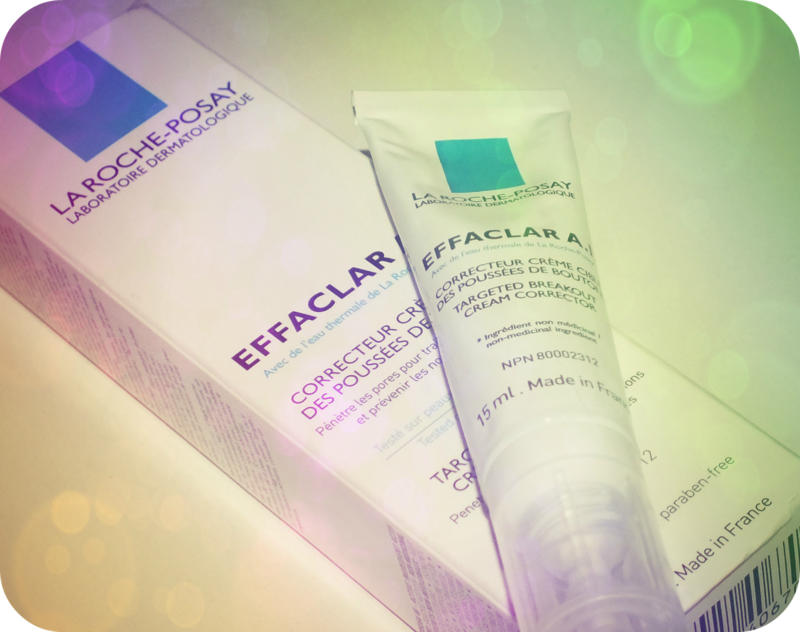 Now, there has been a lot of love for La Roche Posay's Effaclar Duo, which I also use (but we'll chat about that some other time) but I haven't see much love for the Breakout Cream. 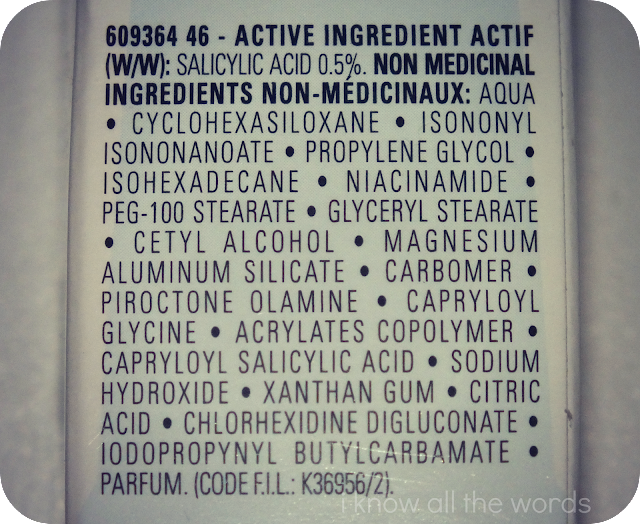 Both products use the same 0.5% dose of salicylic acid, but they each have unique uses. 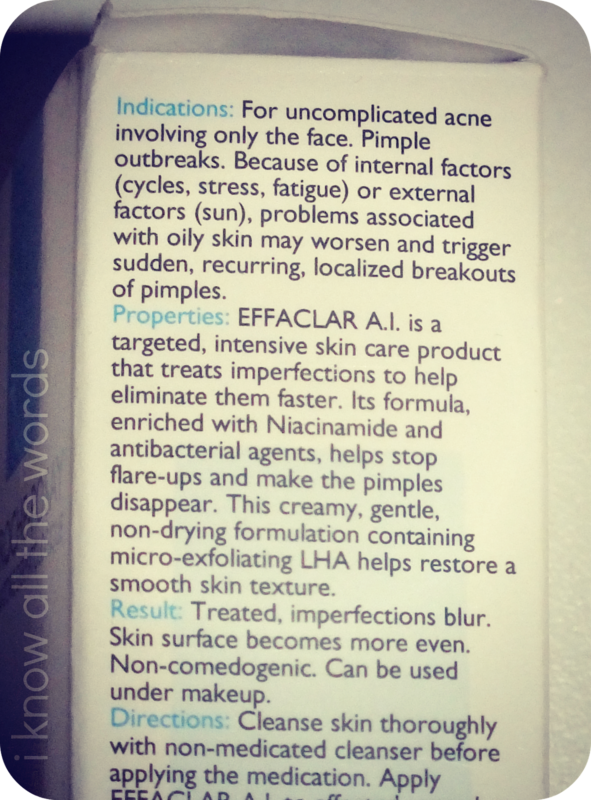 I use the Effaclar Duo as an everyday treatment, but when I can tell that my skin is going to breakout (sometimes a gal just knows) or I see spots starting to sneak in, I switch over to the Breakout Cream. 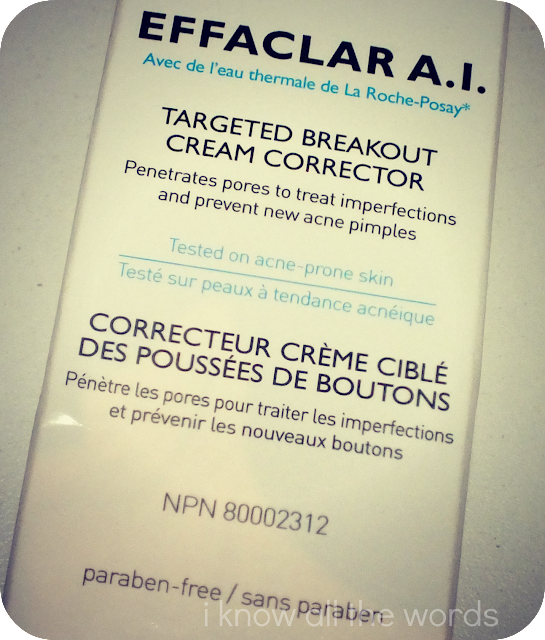 This isn't one of those overnight, miracle blemish zappers, but it works. While an overnight treatment doesn't zap my breakouts completely, it greatly reduces any redness and brings the bump down and in general, speeds up the lifespan of the breakout. On average, it takes two nights to completely remove the blemishes, which is so much faster than letting it 'develop' on it's own. It also helps to prevent more new breakouts, which is incredibly helpful, if like me you seem to get spells of recurring breakouts all at once. 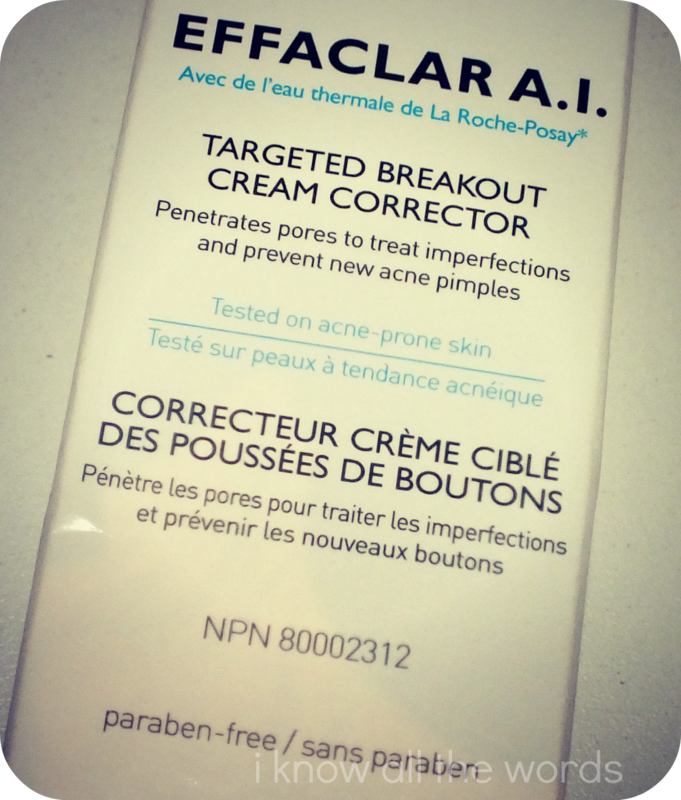 The cream is light, I know when I first used it I was expecting something thicker. It absorbs into skin like a moisturizer and unlike a lot of acne treatments does not dry out skin and actually makes your skin feel better while it treats. You can use this on specific spots only, or like I do, over the whole area in question. I find I only need a small amount to cover my lower face/neck/chin area. The tube has a slim nozzle for precise application, but the metal tube also causes so unwanted leakage, so it is necessary to use some caution. 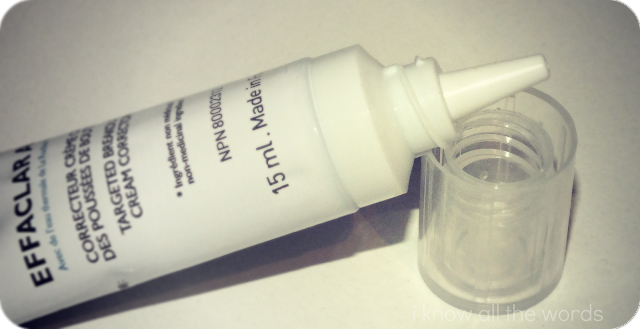 The first few times I used it, it would spill out the nozzle before I even squeezed the tube and I'd end up wasting it. Overall, I quite like this product. Unlike a lot of products, it works on cystic breakouts and doesn't make my skin even drier than it already is. Have you tried it? What did you think?